The tightly held Surry Hills commercial market continues to fetch sharp yields with a building that houses well-known restaurant Porteno, fetching more than $6 million at just under 5.4% at a recent auction. The property was one of two sold by Knight Frank’s Associate Directors, Asian Markets, Andy Hu and Linda Zhu. The properties, located at 358-632 Cleveland Street, Surry Hills and Shop 2, 438-448 Anzac Parade, Kingsford, were sold for $6.66 million with a yield of 5.36% and $1.75 million with a yield of 4.75% respectively. Th Surry Hills property features a ground and mezzanine level with an internal area of 750 sqm. It is 100% leased by the popular Porteno Restaurant, which has been consistently placed on the Gourmet Traveller national top 50 restaurants list, and has won numerous awards including The Sydney Morning Herald Chef of the Year in 2013 and Gourmet Traveller’s Best New Restaurant in 2011, in addition to receiving ‘two hats’ in The Sydney Morning Herald Good Food Guide 2012, 2013, 2015 and 2016. According to Ms Zhu, both properties were purchased and sold by Chinese investors and vendors. “Given the current record-low interest rates in Australia, buyers are always in the market for solid investments," she said. "Surry Hills is a growth area at the fringe of the Sydney CBD and a good investment location. 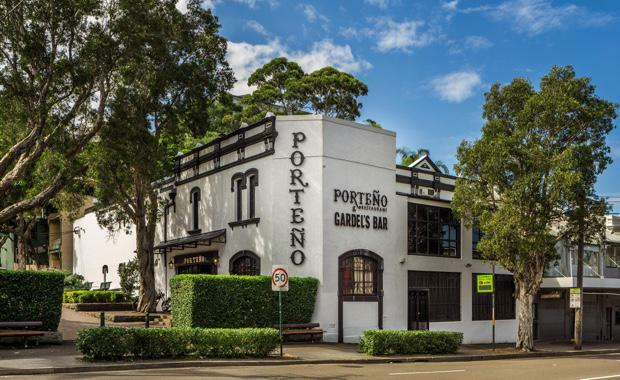 The high-profile tenancy’s lease to Porteno Restaurant until 2020, plus a further five-year option, was a huge drawcard for investment. "“In addition, zoning allows for future flexible upsides over the long term,” said Ms Zhu. The property has three street frontages to Cleveland Street, Riley Street and Goodlet Lane, so has a prominent visual presence. “Surry Hills is historically a tightly-held market so this was a great find for the buyer,” said Mr Hu. The property at Shop 2, 438-448 Anzac Parade, Kingsford is tenanted by a well-established retail chain on a stable lease, Yogurberry. The property comprises a ground-floor, 138 sqm tenancy plus two underground, secure car spaces. It is located near the University of NSW.